Created by the Chiltern Society as its Millennium Project, the Way originally took in all of the Chilterns from north to south across the Chilterns Area of Outstanding Natural Beauty, in a 125-miles circuit extending from Ewelme in the south west, Chorleywood in the south east and Sharpenhoe Clappers and Great Offley in the north east. It was based on an earlier unofficial route, the Chiltern Hundred. 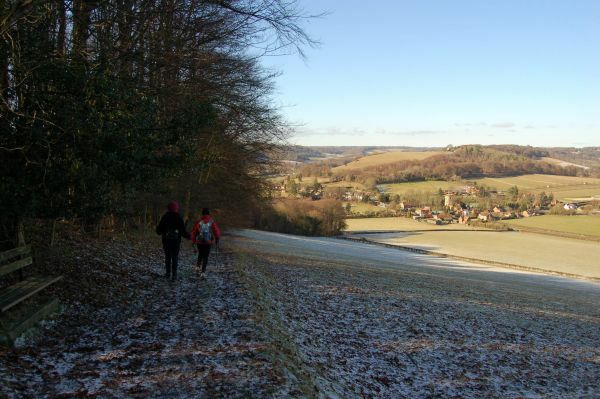 The Way passes through some of the most attractive parts of the Chilterns, including the Bovingdon Plateau, the Chess valley, the Misbourne valley, Penn Country, the Hambleden valley, Stonor Park, Ewelme, Swyncombe Down, Bledlow Ridge, Hampden Country, Bulbourne valley and Dunstable Down. The original 200km (125 miles) Way took in Hemel via Chalfont St Giles, the edge of Marlow, Hambleden, Bix Bottom, Ewelme, the Ridgeway, Stokenchurch, Great Hampden, Aldbury, the Dunstable Downs, Sharpenhoe Clappers and Harpenden. Two extensions have been added in 2003: the Chiltern Way Southern Extension adds a loop of 40km (25 miles) from Bix Bottom via Mapledurham on the Thames and the Chiltern Way Northern Extension 35km (22 miles) from Sharpenhoe Clappers via the Icknield Way and the outskirts of Hitchin. A short cut from Bix Bottom creates a 16km (10 miles) loop via Ewelme. 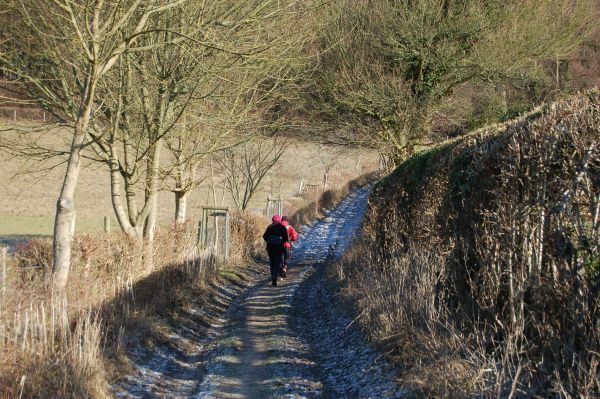 The Chiltern Way Berkshire Loop adds 45km (28 miles) and marked on OS Mapping is a loop in Berkshire south of the Thames and uses two sections of the Thames Path. Although officially starting at Hemel Hempstead Station, the walk can be started at many other places on the route. The Way also has links with other routes including Chiltern Heritage Trail, Ridgeway National Trail, Icknield Way Path, Oxfordshire, Swan's and South Bucks Ways and Grand Union Canal, Lea Valley and Chess Valley Walks. An outline map of the Way including the extensions is shown on the Chiltern Society weblink below, overlaid to show the coverage of the Chiltern Society's own footpath maps. Apart from a small section in Bedfordshire, these cover most parts of the route. A wildflower guide, with 18 shorter walks, to which Society members contributed expertise, is also listed.